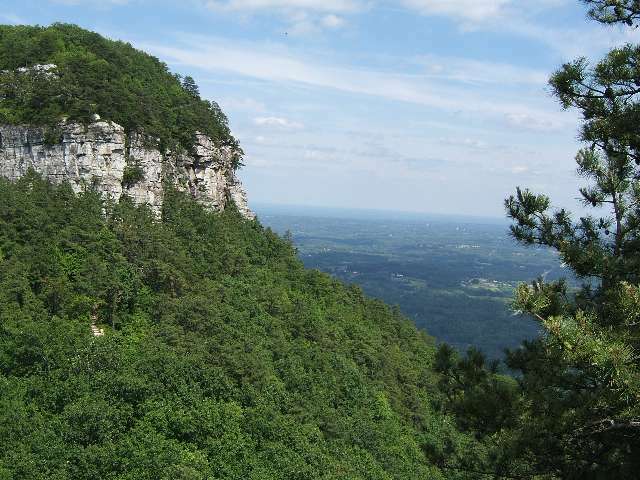 Approach from any direction and see Pilot Mountain rising more than 1,400 feet above the rolling countryside of the upper Piedmont plateau. 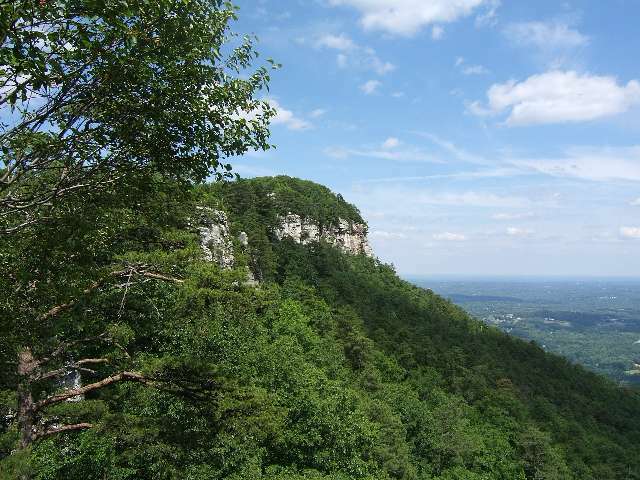 Dedicated as a National Natural Landmark in 1976, this solitary peak is the centerpiece of Pilot Mountain State Park. Fun, from relaxation to exhilaration, is easy to find here. 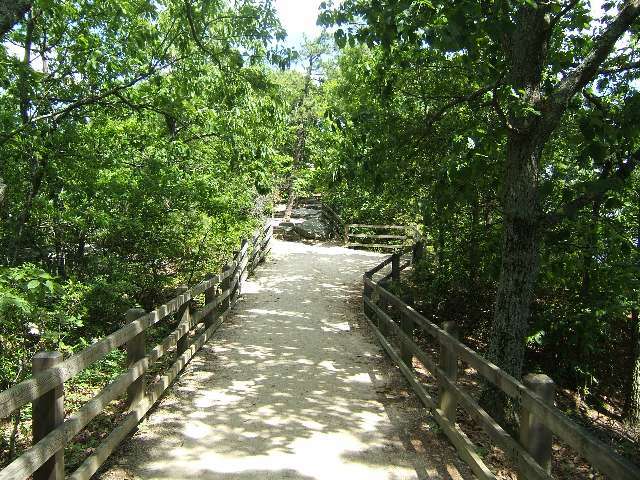 Treat yourself to a horseback ride through the woods or challenge the river from raft or canoe. A five-mile woodland corridor joins two sections of the park, each section offering a wealth of opportunities for outdoor fun. 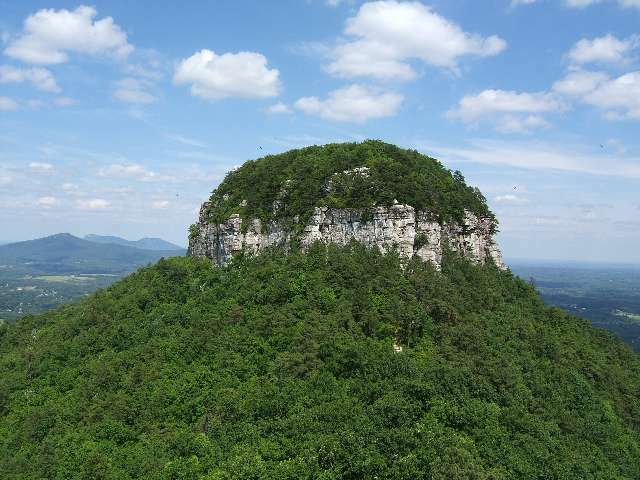 The mountain segment, which includes the two pinnacles, contains most of the visitor facilities. 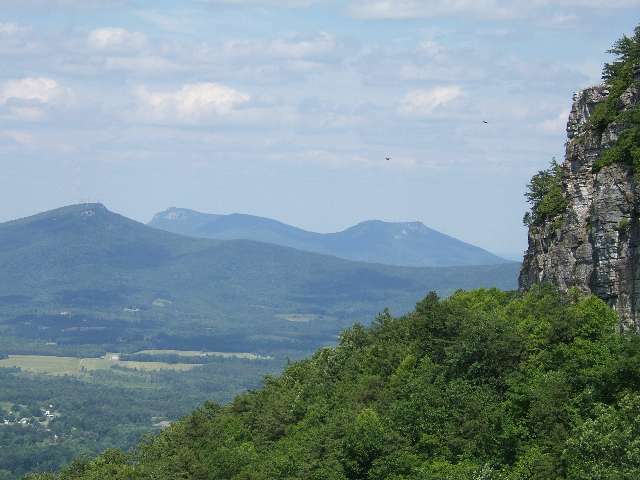 The more primitive river section centers around the lazy, meandering Yadkin River.